Even when we are on the precipice of vulgarity, Reo Wear keeps it casual, classy and cool. We have Stunna Shades, T-Shirts, Fedoras Bags and Leather Jackets. Gear and apparel for any casual occasion. So What is Reo Wear? 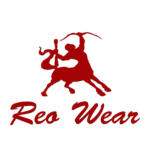 Reo Wear is simply apparel create by, for or chosen by Doc Reo. For the past ten years, friends, family and fans have complimented Reo for his choices in attire. Some have even bought items he was wearing. We are just starting to gain momentum and we appreciate feedback from our customers. Please use our Contact Us page to tell us what we’re doing right or what we can improve on.